One of the unique features of this supplement is that it provides immediate relief. Arrives into the gut alive, reaches deep into the colon, is effective in small doses, and is designed to feed good bacteria exclusively. Overall, a great quality product. 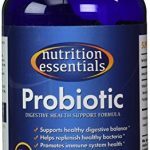 Dr. Tobias Optimum Probiotics: Deep Immune System Support is one of the best-selling probiotic supplements on the market and for good reason. 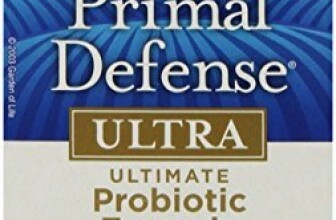 Designed by a medical doctor for immediate relief of common gut complaints, this probiotic supplement works on the “less is more” principle. Dr. Tobias’ Deep Immune System Support is indeed an optimum probiotic supplement because it’s the first of its kind to use extensively researched probiotic strains with naturally resistant properties. Also, since the product was designed to provide immediate relief, doses are smaller, which means that they are safe to be used by anyone. Each Optimum Probiotic capsule provides immediate relief for a wide range of gut problems with a small dose of 4.4 billion CFUs. These capsules are manufactured using patented technology to ensure that probiotics reach deep into the gut and colon. 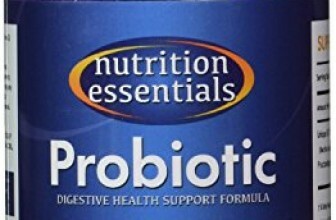 Dr. Tobias has made a highly effective low-dose probiotic that is safe for anyone in the family to consume. Each Optimum Probiotics capsule contains 4.4 billion CFUs, which go into effect within hours of consuming. Designed specifically to provide relief in a small dose, each capsule is guaranteed to deliver its little pouch of probiotics alive deep into to gut. Deep Immune System Support comes from a small set of 4 strains hand-selected by Dr. Tobias for their resistance to high-heat and stomach acid as well as their ability to form spores. The strains used in this formula have been extensively researched and are clinically proven to support gut and immune health. Quality over quantity. Dr. Tobias found that administered in small doses, his probiotic supplement could provide relief within a few hours of consuming. While one capsule is enough to relieve minor digestive complaints, this is one of the only probiotic supplements that can be taken multiple times a day for immediate symptom relief. 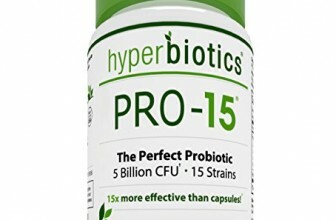 Since this is a low-dose probiotic, it is not very effective in re-populating the gut or providing significant improvement in digestive health, but it can provide relief from minor annoyances and taken consistently, it can result in digestive regularity. As for potency related to the viability of live cultures, these are specifically made with highly-resistant, spore-forming probiotic strains and capsulated in stomach-acid resistant tablets. They have a shelf-life of 2 years. One of the unique features of this supplement is that it provides immediate relief. That being said, it works better to relieve symptoms rather than improving long-term gut health. Despite its profile as a low-impact probiotic supplement, this product has been thoroughly tested and only clinically-proven and well-researched strains are used. Arrives into the gut alive, reaches deep into the colon, is effective in small doses, and is designed to feed good bacteria exclusively. Overall, a great quality product.